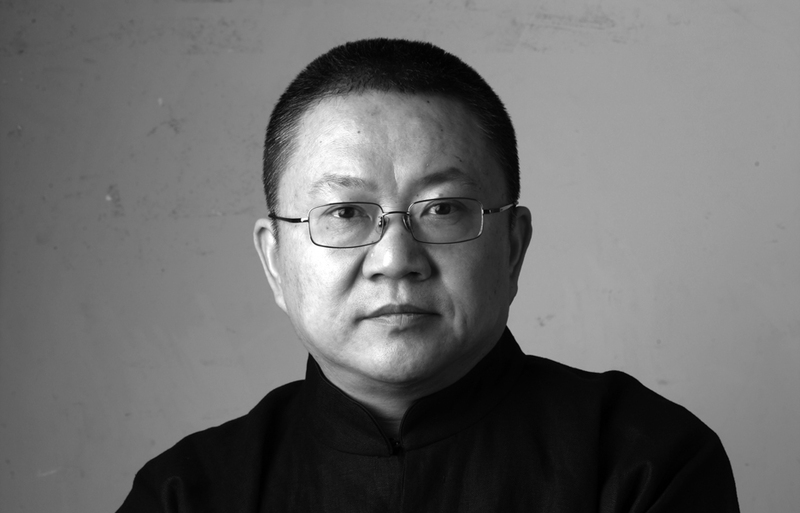 Wang Shu interview: "Memory is deeper than symbols" | Australian Design Review Wang Shu interview: "Memory is deeper than symbols"
This article first appeared in Architectural Review Asia Pacific issue 127: The Residential Issue. 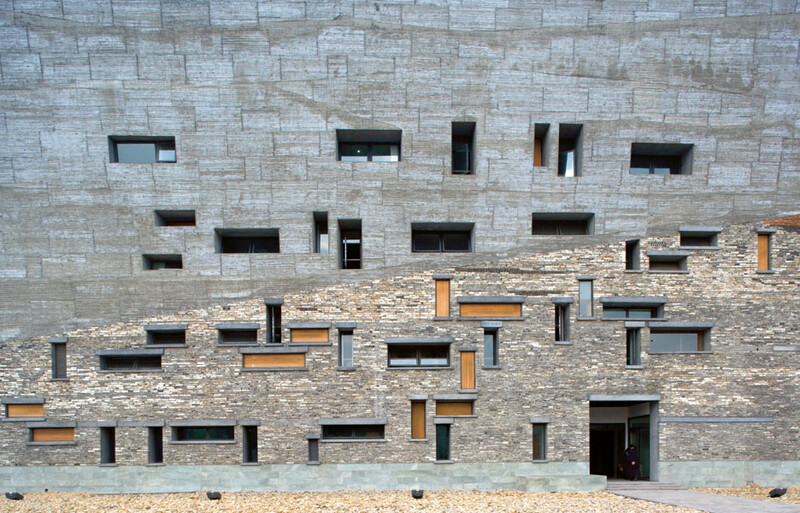 In February Chinese architect Wang Shu was honoured as the 2012 Pritzker Architecture Prize Laureate. 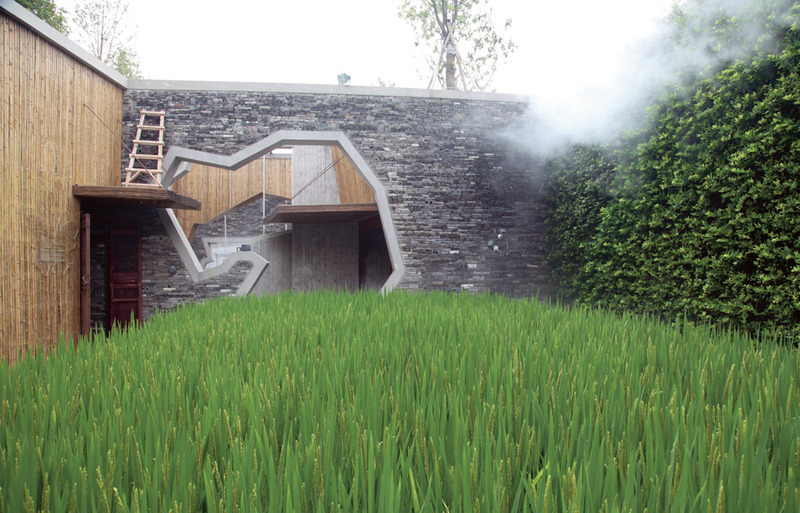 AR speaks to Shu about his unique philosophy of ‘amateur architecture’ and how tradition and memory can inform the making of contemporary Chinese architecture. ANNA TWEEDDALE: Obviously it has been a big transition from starting your small studio in 1998 to winning the Pritzker Prize in 2012. Can you describe the process? 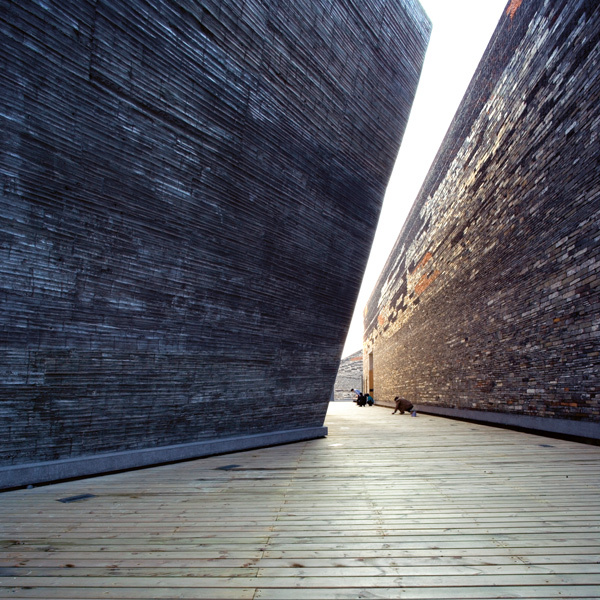 WANG SHU: Before we had the studio it was just me, one architect, doing many small projects. Then in 1997 my wife and I decided we should have a more formal studio to do more complex work. So we had our studio in my home, in a very small apartment building. Importantly, in that time we made some more clear philosophies about how we were working, how we thought we could do it. From the very beginning I thought I should control the studio to stay very small, because in the Chinese situation if you really want to do very experimental works you can’t let your studio get too big. There is too much pressure so I kept the studio very small. In the beginning we had two people – me and my wife [Lu Wenyu] – and then three people, four people. Now we have 10 people. I think it is enough. How do you work collaboratively with your wife? I am the person that has many dreams, but my wife is more connected to reality. Before we built our studio she worked in a huge national design institute – more than 2000 architects working together – so she has rich experience in how to control big projects, how to deal with something like that, how to deal with a construction company, with an enemy. If you do complex work it is very, very important how to be precise. It is very easy to start and understand how to let this continue and go forward – my wife gives a huge contribution. We are just working together every day. Many people say, ‘Every day they stay together from morning to night.’ It’s many, many small things. I’m intrigued by the name of your practice, Amateur Architecture, and your statement that being an amateur is like being an artisan. Can you tell me a bit more about this idea of ‘amateur architecture’? Yes. In fact it has a special meaning for the Chinese situation. 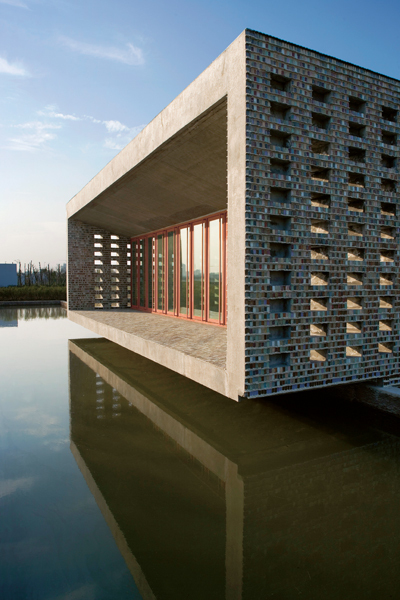 Architecture for China is very special – we have only had the professional architecture system for 80 years. Before this we had a great architectural tradition but our system was a no-architect system – it was a totally different thing. So that is why in China architects are very afraid, and some people say they are not professional enough. You’ve said that we should not demolish in order to develop, yet urbanisation and the transition of people to the cities is happening anyway. How should architecture contribute to the development of cities? In the past 30 years, globally, humans have had only one religion: development everywhere! But for the Chinese, they don’t really know what the meaning of this is. The people just want change, they just want a better life, they just want new things, and they are just taught ‘you must go to the cities’. But on the other hand I think the people don’t know what is the result of this – everything happens so fast and people don’t have enough time to think about what this means. In fact China had a great tradition of cities – many, many beautiful cities – but in the past 30 years we have demolished more than 90 per cent of traditional cities. We have almost totally rebuilt a new country. Is this country’s name China? It’s just a new country. But the people also lost memory, tradition, lost history. So many cities just said ‘let the rubbish come in’. Already so many beautiful cities are now like a big suburb. I say that it’s not really about city construction because this model is borrowed from the western world, from Hong Kong, from Singapore – it’s from some place with no tradition, no history of place. They borrowed this model and rebuilt, then from a city our cities became big suburbs – not a city, just a suburb with huge high-rise apartments and huge supermarkets. Now people should rethink the city – what about the city’s life? We now have so many very wide roads with very fast speeds. But this doesn’t equal city life; these are not streets. Really, we built cities in the past 15 years so we should now think about direction, about the next step. Even the people that have lost memories actually say these things. They say that if we really lose our tradition we are no good. Are any Chinese cities doing it right? Very few. In the past 10 years many cities did many things about this – they did conservation of the historic areas, did some renovations of old buildings from the traditional buildings to the old industry buildings. But really they just happen in two ways. One is that they do this for tourists. Another way is that they do this for some new commercial areas. Not in any case is this done for common people’s lives – I think there’s a difference. It means the traditions can’t survive – they only survive by tourism or shopping. It is not about life. There are some notable western cities where a similar process has happened, such as Venice, where sometimes the preservation and protection of tradition can also stop the life of the city from happening. How do you think we can learn to value the old without stifling the living? I think the situation is different between China and Europe. I have had many trips to Europe to visit everything from big cities to small cities. In Europe they also have their problems. For example, they do very good conservation of the traditional buildings, but on the other side they can’t build any new buildings in historic areas. But then in some new area you see the architects only build hard, polished, shiny modern buildings. They don’t build anything that can connect past experience to new things. But in China it is different – we can do everything [laughs]. It’s another situation. For the fast developments, the easiest way is to demolish, build new things – it’s cheaper, faster. And then second, they do some conservation but they also demolish and then rebuild fake. It’s very funny: we have the real things, then we demolish them, and then we rebuild fake things. It’s really stupid, I think. For China the major problem is that in this big change, the people have lost their value system. They really have a lot of confusion. They think it is right. They don’t know, they really don’t know –they just want it fast. How might future generations learn from this period in China’s history? In fact, I also don’t know about next generation. I remember just 10 years ago I gave a lecture in Beijing as a young man. After my lecture some young students stood up in front of the class and they asked, ‘Why should we do Chinese architecture? Now we have become a member of the globe, why should we have to?’ In our education system, we in fact know almost nothing about tradition. In our life it’s just some very low-income level people that still have some traditional living. The middle class, the rich people – they don’t know why they spend their life. Of course, on the other hand people have some feelings that are old, that we have such great tradition and long history, that we should do something about this culture. But then they just use this in some commercial way, some sign, some symbol, with no real feeling about tradition. Why should we talk about tradition in China? Because it is not just about tradition but because our traditional way is the more natural way, the more sustainable way, the more ecological way. We have not just lost our tradition, we have lost our way of thinking about this. This is more important, so that is why I talk about this to younger generations. I only have one principle: I want to do something real with true feeling. Memory is deeper than symbols. The symbol is just about a concept, but memory is different. It can touch people and also touch very private feelings, very small things, in time. Perhaps it’s about habits and the actual everyday experience of living in certain ways in certain spaces. Yes. For example, traditional Chinese lived in the courtyard system. If you had a courtyard you found some special thing that happened in the courtyard. If you lose the courtyard these things will disappear – it is very simple. So that is why I do many tests, because if you just want to go back to tradition there is no way now in China. You have to try some new approaches to this and connect to the people and then they can remember something. They can connect to their living habits, their memory to do some special things, to special atmospheres. I designed a high-rise apartment building [the Vertical Courtyard Apartments, 2002–07, in Hangzhou] and I gave every family a small courtyard and every 10 families a small public courtyard. Here they can have some neighbourhood relations. I think it’s a very basic thing – if we do this something will happen. It was very interesting. Just one month ago Chinese CCTV interviewed me and we went to visit our apartment buildings and we wondered if the people really used this public space. 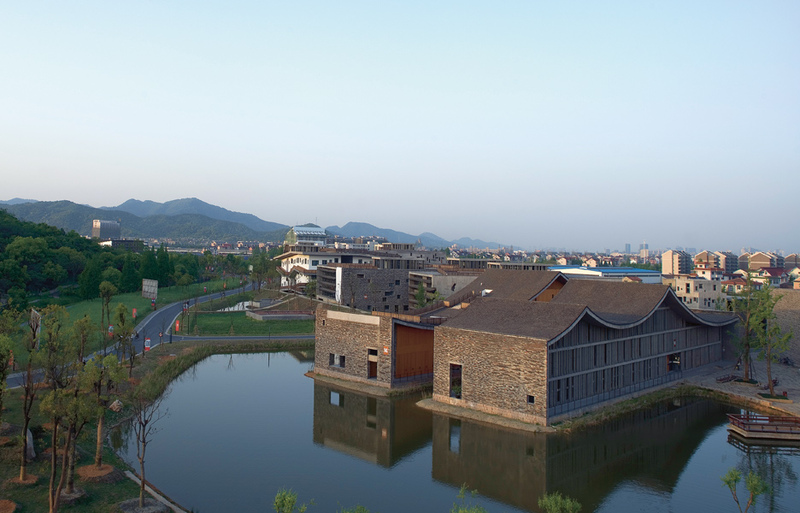 Another example is the Ningbo History Museum. When I designed this project, I researched the area. Originally they had 30 beautiful – very, very beautiful – villages. In this area of China, village is not ‘a village’. Every village is a beautiful small city, small town. But when they do the development it just left one town; 29 towns had been demolished. So I collected the material from these ruins and when the building was finished I found many local people visited three times, four times. Why? I spoke to them and I really got some feeling from this. For example, they said to me, ‘This wall, this part – it is very similar to my family’s courtyard.’ I really get some feeling, so it’s very encouraging to me. I want to ask you more about this process of using recycled materials. Clearly this involves a whole different sense of time in the design, in the process of collecting materials and sorting materials, experimenting and thinking about how to put them back together in a different way. I was wondering whether you can elaborate on how that affects your design process. In fact this way is not my invention – it is a very typical traditional way in China. Really, you will find some ruins that people have just demolished, some old buildings, with material from many different times, some from years ago, some new. So I really understand from these things that our traditional way is a very natural and ecological way because, really, it was made with saved construction, the results of these materials. It’s a very good tradition. But now we use the medium of concrete instead so this tradition stops. We demolish so many buildings but the material is left like rubbish everywhere. It’s really a huge waste. So this is why I think I should do something about this, and I make contemporary architecture. What about the process of working with the client and with a builder, the logistics of collecting and storing materials? How does it all come together? It’s very difficult because this way is a very traditional way – even the local craftsmen almost forgot how to do it. So for the client in China, really people just want new things, they don’t like old things on buildings. Traditionally older was better, but now only new. So we discuss with the client to establish this idea. Usually I use the very simple ways. I do some small works before I do the huge works and I experiment with the materials for the construction. For example, how this traditional material can be constructed with concrete and steel together. I don’t have any experience with this, so I thought we should do some experiment, I should teach this craftsman. In fact many times the craftsmen teach me how to do it. Usually the craftsmen say, ‘Oh, I don’t know how to do it because it is a new building – I just don’t know tradition.’ As for the collection of the materials, our tradition is very rich and varied. For example, just for bricks there are more than 80 different sizes – how to construct 80 different sizes of bricks and tiles together. It is a very amazing exercise. Yes, and it has a beautiful result. Do you do some of that experimentation in the studio or is it always done on site or at the site of a craftsman? We do small experiments in the studio because our studio is very small, but more importantly we do many experiments outside at 1:1 scale. The craftsmen work together with us. For example, in the Tengtou Pavilion at the Shanghai Expo we did more than 20 tests of the wall – every one was two or three metres high. The family, architects, craftsmen – they can all touch it. It seems like a rare opportunity to work that way. Yes. But also in China you usually can’t get enough confidence from the client. Usually the clients don’t allow you to do so many experiments. [Laughs]. But the Chinese, I think, have a good tradition – they believe fact. If you do some tests of the walls and they see, then they know: ‘Ah, it’s so beautiful.’ If you just talk to them about a concept, they can’t understand. So it is very important. Do you also work with physical models in the studio? Not so many. We do many material tests, but for formal design models not so much because usually the design time is very short, very fast. There’s almost no time and the designers have to do so many changes. So usually I just use our pencil drawings to control everything – it is faster than computer and model making. On the other side it is my very private game. If you don’t do models you need to have a very strong imagination. So every time I just wait and when the building is finished, it is a very big surprise to me. Obviously, by developing a project through this material process, there is an element of imperfection. 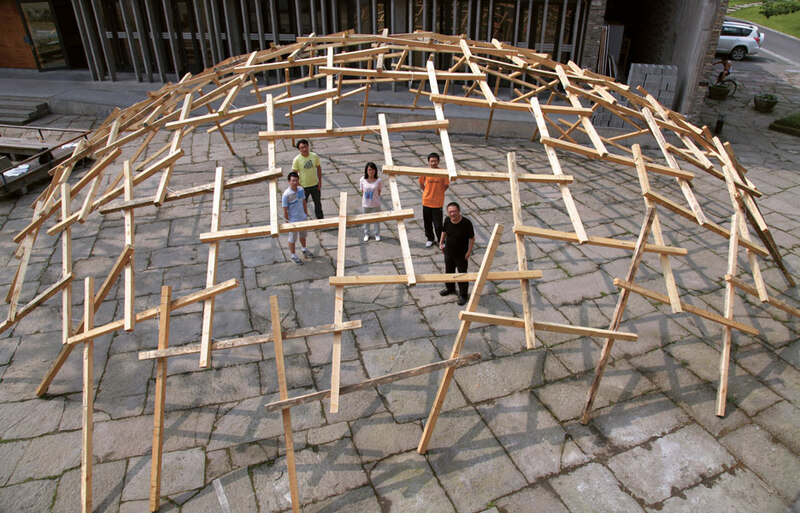 Isn’t that also part of the Chinese tradition – the idea of imperfection or irregularity? Usually I have a dream for my architecture, that I want people to have feelings – it is not just the design by an architect. With new building it’s very easy to say ‘it comes from design; it’s very clear it comes from design’. Some designers say it is simple, some say it is more complex – but it comes from design. But if you look at a traditional city you can’t see which building has come from design – it is a quite different feeling. So every time I want to create this. When the building is finished the people can’t quite describe the experience, the atmosphere, there are so many details – but the building just speaks to you. It is beyond that person’s spirit, it is not easy to describe. Like some very good writers. Apart from craftsmen, do you work with artists or other professionals? Yes. I like to work with artists. In fact I am also an artist. I do not just do architecture, I also do art exhibitions. I think it is a very important experience for architects. In China architects are more like engineers. Usually I like to work with artists together. For example, I did some ceramic tests with ceramic artists. Most important is that I get a lot of feeling from artists’ work. Usually architects very easily forget this way that is more direct; usually art is more directly connected to real things. For professional architects it is easier to just work in some professional circuit, to do something.